Professor Bruce Hansen probably should have predicted his recent $600,000 James S. McDonnell Foundation award. After all, his research could easily be considered mind reading. Hansen, an associate professor of psychology and neuroscience, studies how the brain interprets everyday visual experiences. More specifically, his research examines whether or not those interpretations can be understood externally through the study of brainwaves measured via electroencephalography (EEG). “I want to test whether or not there are patterns of temporal brain responses that are indicative of a particular visual category,” Hansen said. He further explained that the brain creates altogether different brainwave patterns depending on what we are looking at — an ocean, a city, or a small college campus. “If the brain is encoding this information in a somewhat faithful manner through temporal brainwave patterns, it could be decoded through machine learning classifiers,” he said. The research is aimed at the development of an algorithm that could read EEG results, and then use those to tell if someone has been to a beach or a forest, and more importantly, how they chose to interact in that environment. Hansen said it’s the kind of scientific understanding of memory and perception that could lead to a better understanding of human cognition, and one day lead to the development of new treatments for brain trauma. “Despite almost 100 years of technology-based research, we know very little about what exactly is going on in the brain,” Hansen said. The major grant award will allow him to better equip Colgate’s EEG lab with cutting-edge source-localization and transcranial direct-current stimulation tools, as well as create a full-time lab manager position for students transitioning to graduate school. It will fund the next six to eight years’ worth of lab work with dozens of students. 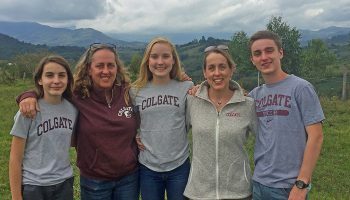 One of just eight professors worldwide selected for the prestigious funding, Hansen is the first Colgate professor to receive the award. Established in 1950 to “improve the quality of life,” the James S. McDonnell Foundation supports high-level research and scholarship. Fifteen minutes. That’s how long the Spanish Debate Team has to prepare a persuasive argument on a topic with which they may or may not be familiar. Adding to the pressure: It’s not in English. 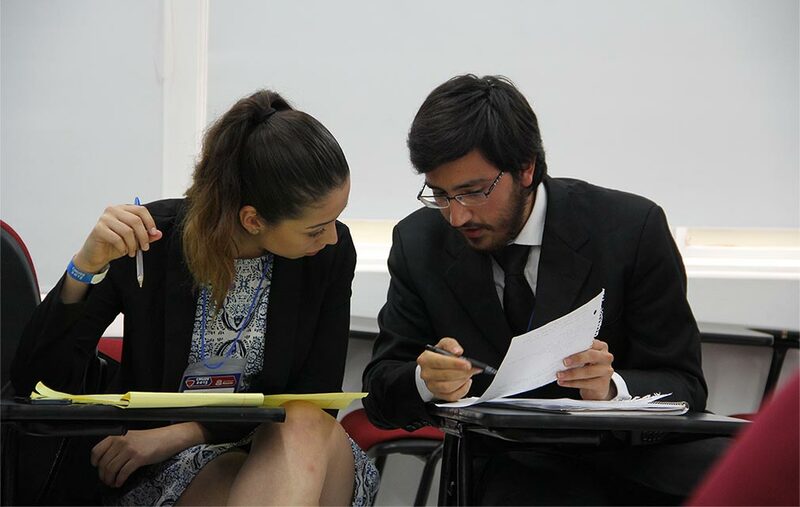 In July, they competed in Latin America’s largest debate tournament, Campeonato Mundial Universitario de Debate en Español. Ten members of the team spent a week and a half in Bogatá, Colombia, competing against students from around Latin America in the British Parliamentary–style debates. “[Because] the Spanish language differs across Latin America, having a diverse group of Spanish speakers on the team allows us to prepare words or phrases that are commonly used and understood,” said Erik Lima ’18. The team prepared for a year, holding twice-a-week meetings during which they only spoke Spanish. They also practiced under the 15-minute imposed time limit. “Not only do we learn about current events through our involvement with the team, but we also learn about laws and different views that certain topics can bring to the table,” Lima said. This course emphasizes the role of institutions, technology, and human behavior in hazard creation, as well as ways in which society responds to hazards of multiple origins. Case studies center on earthquakes, hurricanes, and wildfires (natural hazards); toxic pollution and hydraulic fracturing of shale gas (technological hazards); and malaria and invasive species (biological hazards). A key theme explores ways in which society may mitigate the risk of environmental hazards and manage them more effectively. Students will compare the experiences people have with natural hazards in distinct geographic and social contexts. Each student will select a specific natural hazard and compare how people experience hazards in poor and rich countries. The project builds cross-cultural understanding and appreciation for the diverse ways in which natural hazards affect people. It’s highly likely that you, a member of your family, or a close friend will face the decision of whether to use a medication to treat a diagnosed psychiatric disorder. Do you have the skills and knowledge to participate in the decision to use a drug as therapy? That’s the issue that Professor Scott Kraly posed in his new online course on ColgateX — part of the learning platform edX, which offers noncredit courses that are open to the public. More than 4,400 registrants from 135 countries signed up for Medicating for Mental Health: Judicious Use of Psychiatric Drugs, taught by Kraly, who is Colgate’s Charles A. Dana Professor of Psychology. Participants learned how to acquire information to determine whether a psychiatric medication can improve symptoms while minimizing the risk of side effects. And they learned how to be effective collaborators with physicians, psychiatrists, or psychologists. The free, interactive course was a continuation of Kraly’s research, detailed in his book, Psychopharmacology Problem Solving: Principles and Practices to Get It Right. Students pitched in to help Utica residents as part of the COVE’s first-year orientation program. The news has been inundated with stories about refugees — in the United States and abroad. With a burgeoning refugee community in Utica, located less than 30 miles from the Colgate campus, students and professors are finding increasing ways to help. Approximately one-fourth of the population in Utica is made up of refugee families, according to an article in the New York Times last year. Utica Refugee Tutors, which operates under the umbrella of the Max A. Shacknai Center for Outreach, Volunteerism, and Education (COVE), is a group dedicated to tutoring the children of Somali refugees. They visit the Mohawk Valley Somali Bantu Community Association once a week. Also through the COVE, members of the Class of 2019 got an early start on service learning with a pre-orientation program. 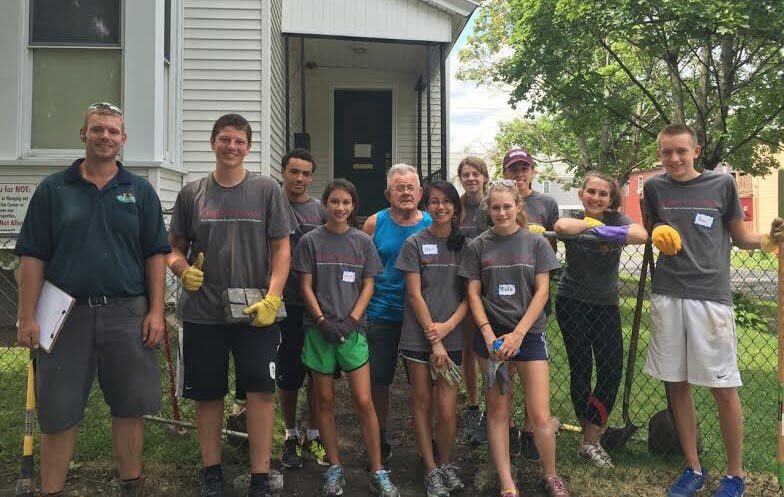 In the days leading up to first-year orientation, eight volunteers teamed up to work with the Johnson Park Center in the Cornhill neighborhood, which is one of the city’s poorest neighborhoods and where many refugees live. They took out a broken part of the sidewalk in front of a resident’s house, and then laid down new stones. “It was hard work, but all of the volunteers were excited about it, and it was very rewarding to see the finished product,” said Maia Dinsmore ’17, a COVE leader. Professors get involved, too: the COVE also oversees a service learning course development grant program with the dean of the faculty. Supported by the program, faculty members develop a service learning component for a class. The first recipient was Ryan Solomon, assistant professor in writing and rhetoric. He redesigned his core South Africa class to include work at the Somali Center, and students from his class went to South Africa for six weeks this summer. Apart from the COVE, many professors, such as Jessica Graybill (geography), involve their classes in service learning with refugee populations. In her GEOG 311: Urban Geography, students investigate urban spaces, discover how different groups interact in and with a space, and engage in an electronic storytelling project to support marginalized populations, using Utica and its refugee population as a case study. 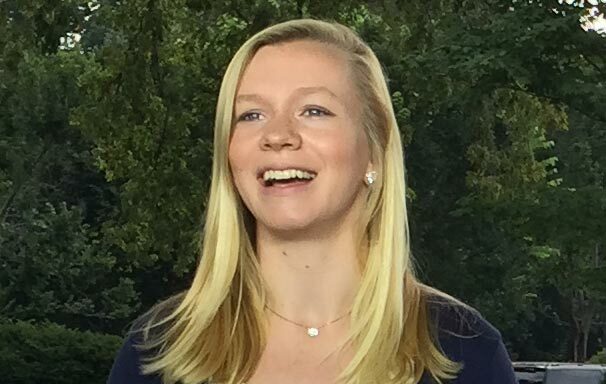 This past summer, I interned at CBS News in Washington, D.C. Although every day was different, two experiences stand out. The first was the day I sat in the White House pressroom and watched President Barack Obama deliver a speech after the Charleston, S.C., shooting with the vice president at his side.The second memorable experience was when I participated in “The Running of the Interns.” Because the Supreme Court does not release its decisions electronically, broadcast interns are responsible for physically running the paper decisions to the correspondents who are waiting to go on air. The Supreme Court released its decisions on the Affordable Care Act and gay marriage this summer. A photograph of me running with the Obamacare decision appeared in the New York Times. My main responsibility at CBS was assisting with the nightly broadcast. 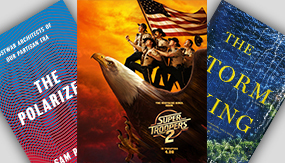 I helped to produce news pieces covering the different branches of government, with topics ranging from presidential campaigns to the Iran nuclear deal. As a political science major, I was familiar with how the U.S. government operated, but broadcast journalism was an entirely new area for me. It was clear from the beginning that there was no typical day in the newsroom. 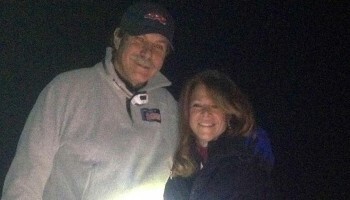 Although we were able to plan the coverage of some events, we were also constantly on the lookout for breaking news. I listened to and transcribed congressional hearings, the president’s and vice president’s speeches, press calls from the White House, and national press conferences. I watched video, pulled photos for the broadcast, and observed producers and editors cutting news pieces together. Watching producers and correspondents start from scratch each morning and work throughout the day to produce a two-minute news package to air that evening made me realize that I want to be a news producer. Now in my senior year, I hope to pursue a job in journalism and the media after graduation. In fact, I hope to be back at CBS someday, covering the news again. Editor’s note: Professor Ray Douglas, the Russell Colgate Distinguished University Professor of history, provided historical context to today’s global refugee crisis on The Conversation.com. The following is an excerpt. This enormous manmade disaster, to which too little attention has been given, carries lessons for Europe today. The first, paradoxically, is to set contemporary problems in perspective. Substantial though today’s exodus from the Middle East may be, it pales in comparison to the situation Germany faced and surmounted after the war. The arrival of up to a million newcomers in 2015 presents real challenges, but a prosperous European Union with a population in excess of 500 million has the means to overcome them. The fact that nearly three-quarters of the refugees are healthy working-age men, in contrast to the expelled population of 70 years ago, will further reduce the economic burden of absorption. A second lesson is that the problem of forced migration cannot be solved by asylum and assimilation policies alone. Despite the expelling countries’ best efforts, not all German speakers ended up being removed from Eastern Europe in the 1940s. 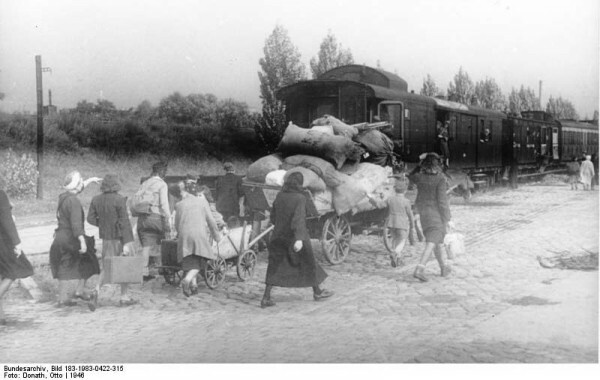 The deportations largely came to an end in mid-1947, when the Big Three powers, alarmed by the social and economic chaos their policies were creating in Germany, gave orders to Poland, Czechoslovakia, and Hungary that the transports must cease. The Allies had the political resolve and military capacity to make that decision stick. The European Union today does not. Because forced displacements in the modern world are nearly always the product of political and strategic initiatives — in the current instance, those taken by governments and armed nonstate actors in the Middle East and North Africa — they will continue until the European Union acquires the means to counteract them. But the final point to note is that Colonel Thicknesse’s warning about the political consequences of a purely reactive response to the refugee crisis is not to be ignored. The European Union is a union of democracies, all of whose leaders are answerable to their electorates. Germans today have taken the lead in extending a welcome to the displaced Middle Easterners in large measure because memories of the Vertreibung, or “Expulsion,” in which so many of their parents and grandparents suffered, remain fresh. But not all of the continent shares their history, and the EU’s leaders are not in a position to compel their peoples to accommodate fresh waves of refugees as the defeated Germans were forced to accept their uprooted cousins after the war. Long before the limits of Europe’s demographic or economic absorptive capacities are reached, voters are likely to rebel against open-ended commitments to find homes for the victims of collapsing states and civil wars in the Middle East. If the continent’s leaders are not to bring about political changes that may have destructive consequences for the rights-based framework upon which the postwar European project has been built, it seems clear that they will have to demonstrate their ability to address the problem of forced migration at its source. 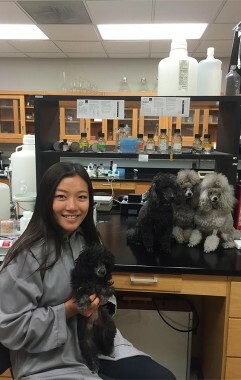 The dog days of summer took on a whole new meaning for Xintao Ding ’17 , who studied the genetic makeup of poodles with biology professor Barbara Hoopes. Among poodles, there is a size range, accounting for the standard, miniature, and toy classifications. Ding and her lab partners, Melissa Peace ’16 and Erin Huiting ’17, used cheek swabs from different poodles to examine their DNA and identify novel genes on which variants are likely to cause differences in size. “The research on dog body size can help us understand differences in growth and development in humans, who are much more complex at the genetic level, making them harder to study,” Ding explained. An aspiring doctor, Jenn Dias ’16 interned for the Chenango United Way and helped coordinate a free clinic providing medical, dental, optical, and veterinary services. The clinic served 2,500 individuals with the help of 500 volunteers. 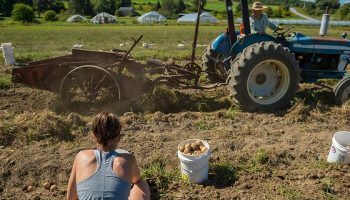 Dias’s work was through Colgate’s Upstate Institute Summer Field School, which allowed fellows the opportunity to work with a community, government, or nonprofit partner in the region. “This experience showed me the importance of compassion and allowed me to embrace the privilege of serving,” Dias said. Madison Paulk ’16, a political science and African studies double major, traveled to Durban, South Africa, to research the roots of xenophobia and ways to promote integration. Supported by the Lampert Institute for Civic and Global Affairs, she interviewed Congolese refugees about their sense of belonging, participation, and inclusion in Durban. Her goal was “to give agency and voice” to the refugees. Warren Dennis ’16 took his summer exploration even farther — into space. 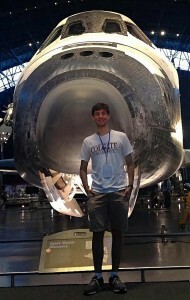 As an intern for the History Program Office of NASA in Washington, D.C., Dennis did archival research, wrote online articles promoting historic events, and used social media to inform the public about NASA’s achievements. The history and astronomy-physics major met many astronauts, including Buzz Aldrin, and participated in the annual Innovations in Flight Day at the National Air and Space Museum. “This is an incredibly exciting time to be at NASA,” Dennis said. See more student summer experiences: http://news.colgate.edu/tag/summerinternship. The immigration debate has caused concern that foreign workers could outcompete U.S.-born applicants, reduce wages, and even discourage Americans from seeking science, technology, engineering, and math (STEM) careers. Using a $128,640 grant from the National Science Foundation (NSF), Associate Professor of Economics Chad Sparber and professors from four colleges will study the impact that foreign-born workers with advanced degrees have on wages and employment at U.S. firms. For years, firms have used the federal H-1B program to hire highly educated immigrants, who usually have backgrounds in STEM fields. The U.S. government grants a temporary work permit, allowing firms to tap a labor force that for years has helped to foster innovation. This, in turn, generates positive effects on wage and employment growth, according to Sparber. But others worry about the potential drawbacks of using foreign workers. The project will examine these issues. Research has begun by examining data that are free and open to the public. But information on wages, profits, employment, and expenses at firms is confidential and available only through the U.S. Census Bureau. Access requires visiting any of the 19 Research Data Centers nationally. Through the years, experts who studied migration focused on illegal immigration or workers with high school degrees or lesser education. Personnel with advanced degrees were largely ignored. “Many people were missing the fact that foreign-born workers with a bachelor’s degree or more education also make up a sizable portion of the U.S. labor force,” Sparber said. The Iran Nuclear Deal went into effect on October 19. During the national debate last summer, media outlets published stories on a daily basis, using words like “isotope,” “centrifuge,” and “uranium enrichment.” So, we turned to a team of professors from the physics and astronomy department to explain some of those terms — and a bit of the science that is so critical to a serious debate of the issues surrounding the agreement. The chemical properties of atoms and their grouping on the periodic table are determined by the number of electrons that typically surround their nuclei. For instance, atoms that have six electrons are atoms of carbon. In their nuclei, atoms contain the same number of protons as electrons, ensuring that they are electrically neutral. In addition, the nuclei also contain neutrons. Since neutrons carry no charge, they do not affect the atom’s chemical properties. This means that a carbon atom can have a nucleus with six protons and six neutrons, or it can have a nucleus with six protons and eight neutrons. The first kind of carbon atom has a total of 12 particles in its nucleus. Not surprisingly, scientists refer to this atom as carbon-12. The second kind of carbon atom has 14 nuclear particles, so it is called carbon-14. In both cases, the atoms are carbon atoms and both can be referred to as isotopes of carbon. Uranium has three naturally occurring isotopes: more than 99 percent of all natural uranium is uranium-238; almost all the rest is uranium-235, and there is also a trace amount of uranium-234. Why is U-235 so special? When U-235 is hit by a neutron, it sometimes fissions (breaks apart). U-235 first absorbs the neutron and becomes U-236, which is unstable. It then quickly decays via fission into smaller, lighter nuclei while releasing two to three neutrons plus energy. This energy released from the nucleus is huge: about 100,000 times more energy than is released in a chemical reaction. In addition, the released neutrons can go on to trigger more U-235 nuclei to fission. If enough U-235 nuclei are around, one can have a self-sustained chain reaction that releases energy continuously. What is a centrifuge and how does it work? A centrifuge is basically a spinning tube. Spinning a mixture of fluids helps separate them on the basis of their mass. A centrifuge is one way to separate (or “enrich”) the fissile U-235 from the much more common U-238. What is a reactor core and what’s inside? A reactor is a place designed to encourage a particular reaction. For nuclear reactors, the three essential ingredients are neutrons, target nuclei for the neutron to react with, and a moderator. Like in a television talk show, the job of the moderator is to facilitate the interaction between the other parties. Here, that generally means slowing down the neutrons, so that they are more likely to be absorbed by the target nuclei. The first nuclear reactor used graphite as the moderator, and basically looked like a pile (that was exactly what physicist Enrico Fermi called it) of pencil-lead rods doused with uranium. It’s more common nowadays to use water as the moderator, so reactor cores are typically at the bottom of what look like swimming pools. One final element is control rods, which absorb neutrons. They can be moved in or out of the reactor to stabilize the reaction.